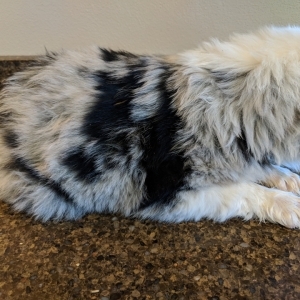 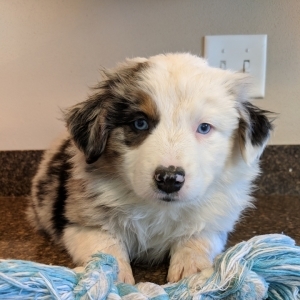 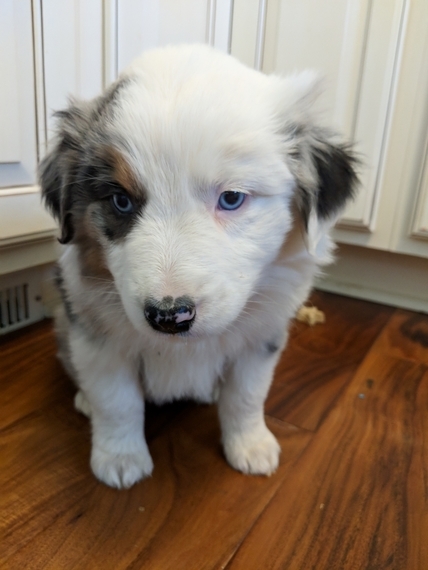 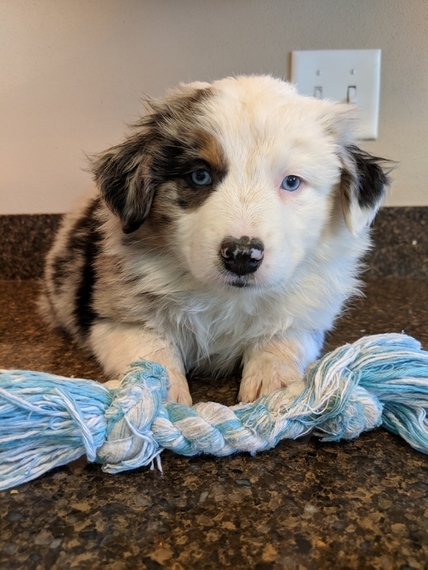 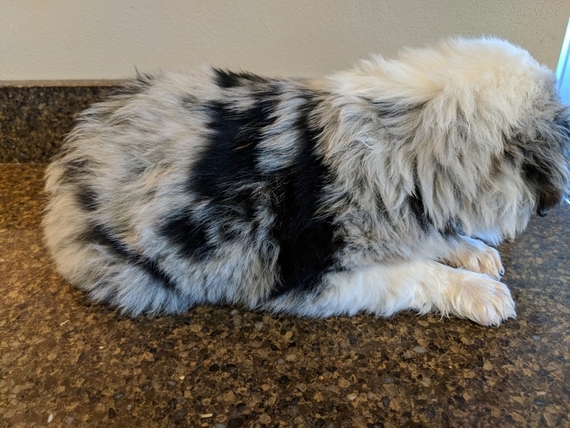 Meet Encore, a sharp AKC Blue Merle Australian Shepherd male with two blue eyes. 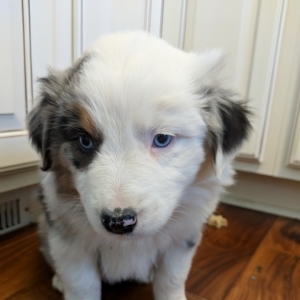 Encore has a very nice temperament and he's so well marked! Encore catches the eye of all who visit our home. He is raised in a family environment with our children, other pets, and lots of busy people so he is very well started on socialization. Encore will turn out to be just simply wonderful just like his parents who are both loyal, obedient, and just the best pets a family could ask for. 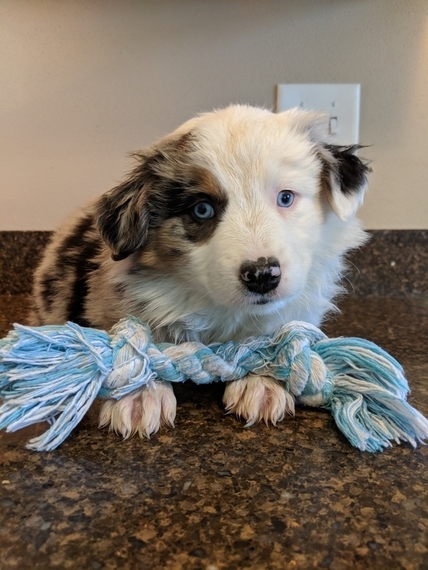 Encore's parents have also been genetically tested for heredity cataracts, MDR1, and PRCD which means he will come to you vet checked and genetics approved. 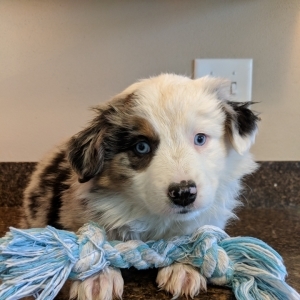 Call about this boy today!